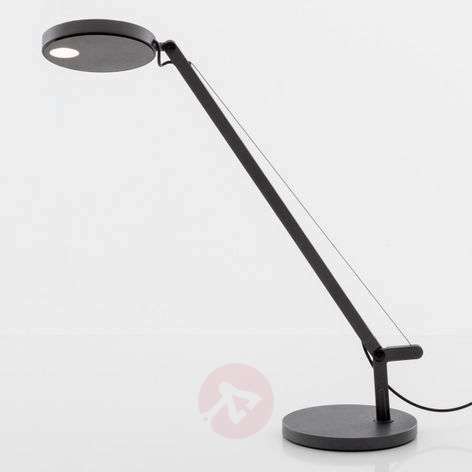 The Demetra Micro LED table lamp is the smallest model of desk light from the Demetra light series by Artemide. Nevertheless, it is in no way inferior to its larger siblings: Equipped with a high-efficiency LED, which provides excellent colour rendering and dimmable thanks to a dimmer located on the lamp head, it provides light for reading and working at even the smallest workstation. It is also very flexible and adjustable. The head and arm are movable allowing the lamp to be adjusted to individual requirements so as to achieve perfect lighting conditions. Whether in your own home office, children’s room desk or simply as an extra reading light in the living room, the small Demetra Micro designer table lamp immediately find itself at home. "Without Thoughts," is the approach of Japanese industrial designer Naoto Fukasawa, who developed the Demetra range for Artemide. Behind this is the belief that the most important thing is not the shape of a product, but the context in which it is used. This is embodied by the Demetra light range: a rather simple and minimal design, with well thought-out features.